Noble finds his calling at Misty Meadows. 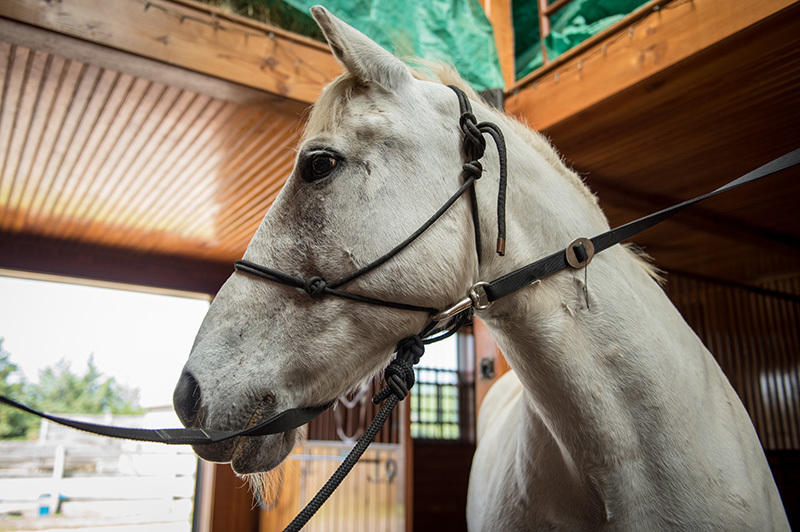 Noble is spending his retirement at Misty Meadows Equine Learning Center, where he is able to roam with other horses. 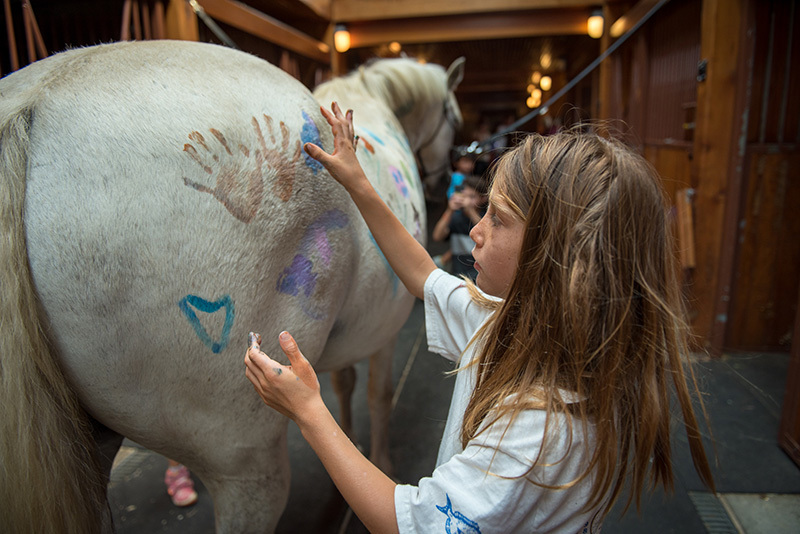 On a recent Saturday morning, a white horse named Noble gently carried children around an outdoor ring as family members waved from a fence and snapped photos. 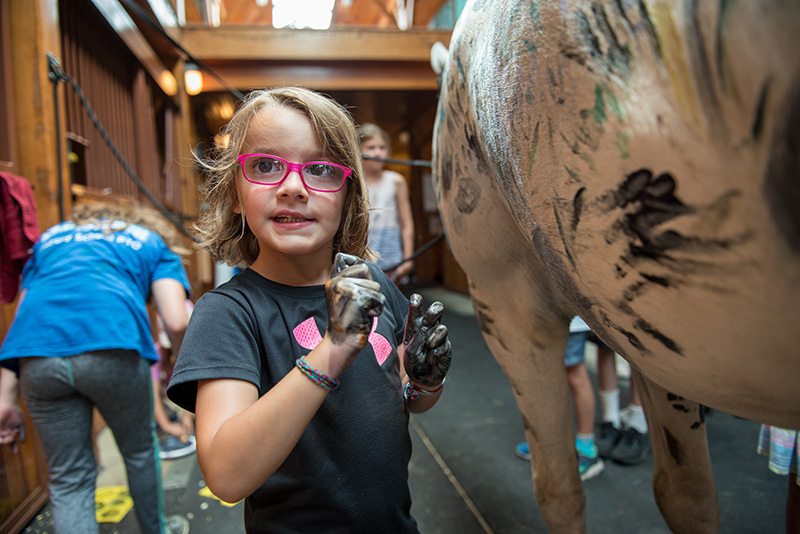 The old draft-mix, now a permanent addition to the herd at Misty Meadows Equine Learning Center, seemed right at home, although it had been a long and winding journey that brought him there. 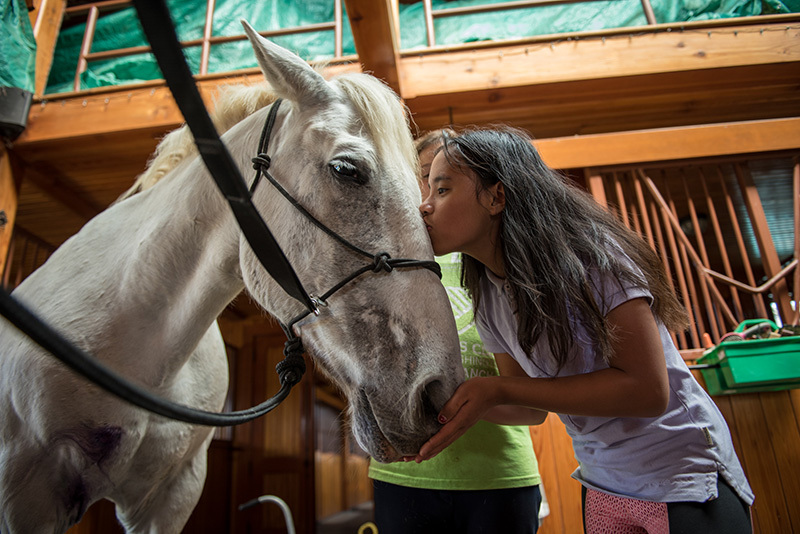 Noble’s large and reassuring personality has made him something of a celebrity in the Vineyard’s therapeutic riding community. Years ago he served as a jumping horse for a young woman on the Island, later moving with her to California. 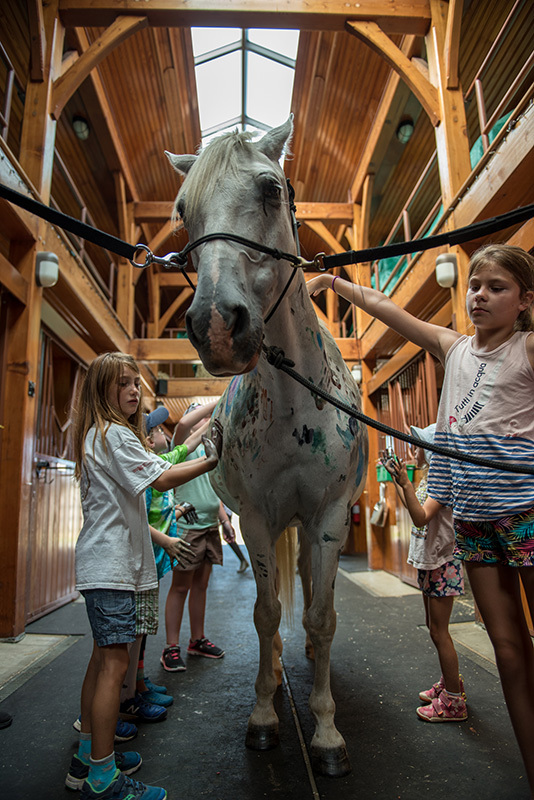 He returned around 2008 to serve at the Rising Tide Therapeutic Equestrian Center in West Tisbury, where he remained until recently, when a knee injury put him out of commission. Shortly after the merger this year, Noble was moved from Rising Tide to Misty Meadows while the center tried to find him a permanent home. 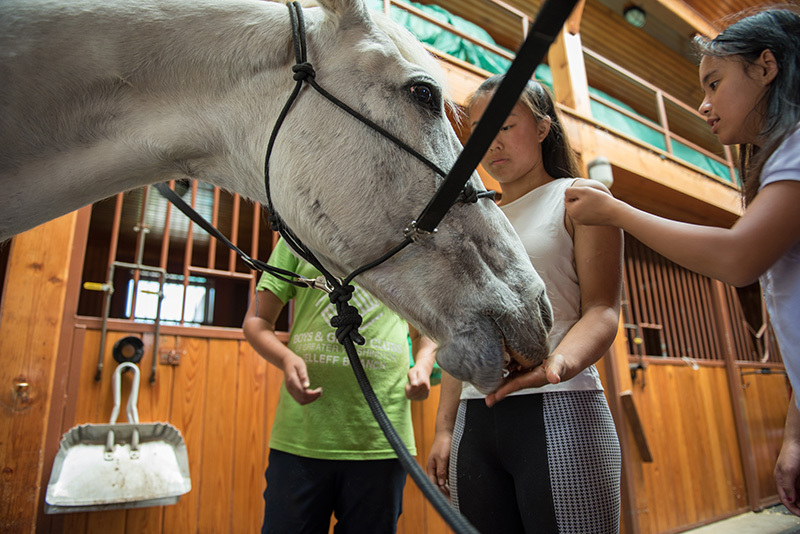 His recent leg injuries had healed, but he was no longer able to safely carry the larger riders in the therapeutic program. After a number of failed attempts, Misty Meadows finally matched him with a farm in North Tisbury to live out his days as a pasture mate. But even at the age of 27 (around 78 in human years), it became clear that Noble wasn’t ready to call it quits. West Tisbury Police Chief Matt Mincone, who also keeps horses, had seen Noble starting down the road around 5 am, and he and his girlfriend corralled him into their barnyard. 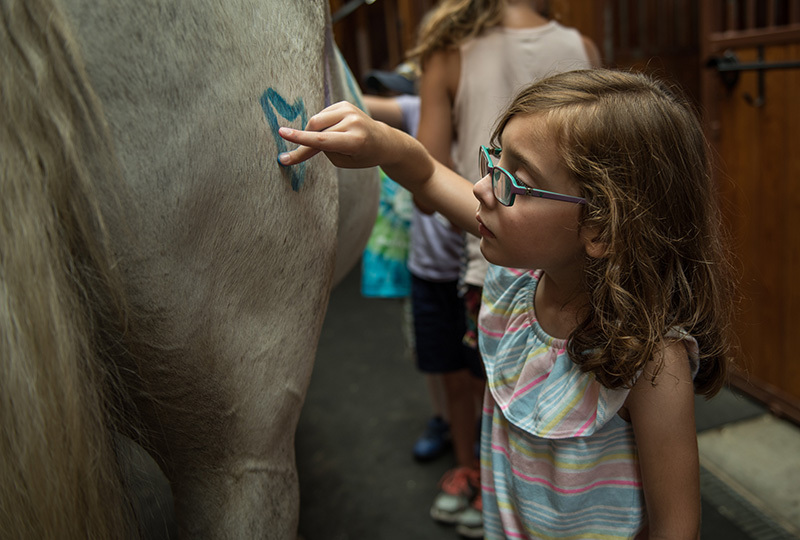 With help from her friends at Red Pony Farm, Susan cleaned out a stall in her own barn and called veterinarian Constance Breese to look Noble over. He appeared lame, and smelled like a skunk. Perhaps more telling, some bite marks suggested that he hadn’t gotten along with his pasture mate. “He was getting beat up, and he just left in the middle of the night,” Susan said. He was skittish when he returned, but calmed down in the safety of his stall. 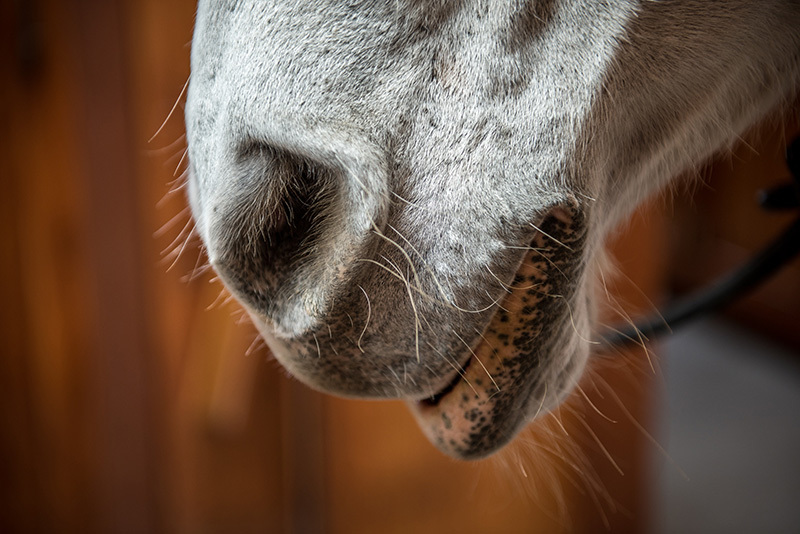 He didn’t have much to do with anyone — horse or human — while he recovered from his six-mile journey back to Rising Tide, which among other things left him with a bruised foot and a large wound across his chest, possibly from where he broke through a fence. Susan kept him in the stall where he could heal, later allowing him to roam free on her property for a couple of hours each day. Over the years, Noble had been ridden as far as the Martha’s Vineyard Agricultural Society, about three miles down the road from Rising Tide, which might help explain his sense of direction the night he returned home. But Maggie, for one, wasn’t too surprised by his ability to navigate the landscape. She remembered a game she used to play at Rising Tide where she would drop the reins and let Noble find his own way home on the trails — something he did with ease. 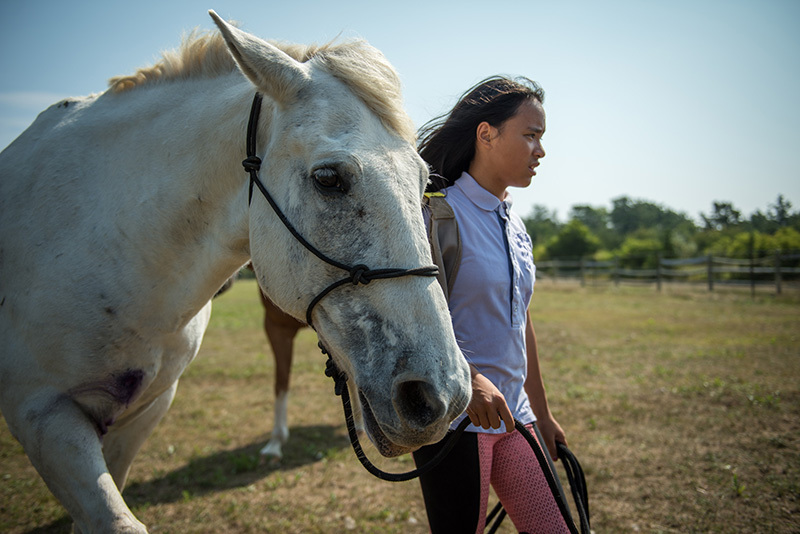 “All horses are smart, so I think they know where their home is if they are there long enough,” she said. 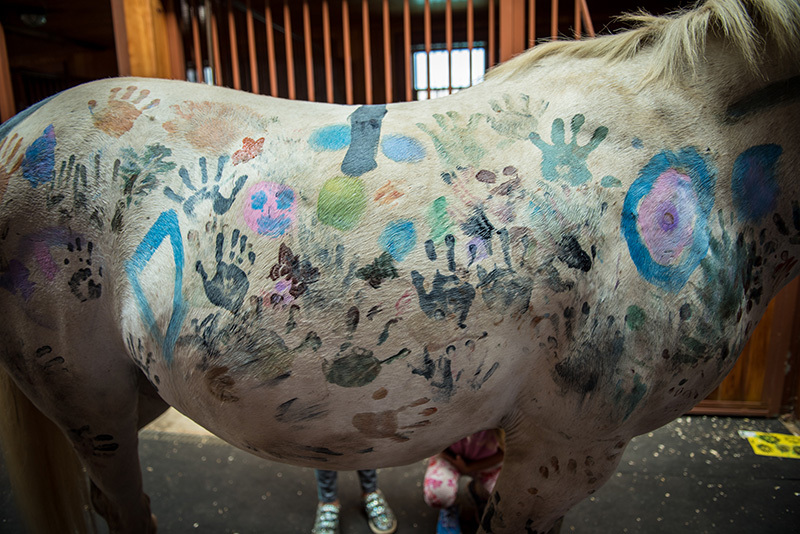 Noble is now settling in at Misty Meadows, where he will remain in service, although carrying only small children and taking part in low-stress activities like herd observation and horse painting, where the horse becomes a canvas on which kids can express themselves. He may never lose his tendency to go wherever he wants, including the occasional nighttime escape from his paddock. But when he does slip through a fence (quite a feat for a horse his size), it’s just to be with the other horses at the center. “He just wants to socialize with everybody,” Maggie said. See Noble at Misty Meadows in our new video.